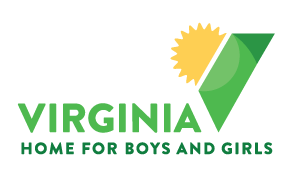 At Virginia Home for Boys and Girls (VHBG), children usually come to us with troubled pasts. But the minute they step on our campus, we want them to feel that they’re welcome, safe, and that there’s hope for their future. By providing trauma informed care, children have a chance to see what’s possible for them to achieve. Sometimes, they come to us with nothing more than a few belongings in a plastic garbage bag. But thanks to generous donations, we’re able to outfit children with everything they need to begin to start over. This out-fitting effort is supported by a team of volunteers from Banana Republic/Gap at Stony Point and Short Pump Town Center who give their time, talents, and money. It started four years ago when Banana Republic/Gap Community Leaders, Deb Worten and Sue Dibert, visited our campus and the “General Store” which was located in the basement of the VHBG Gym. 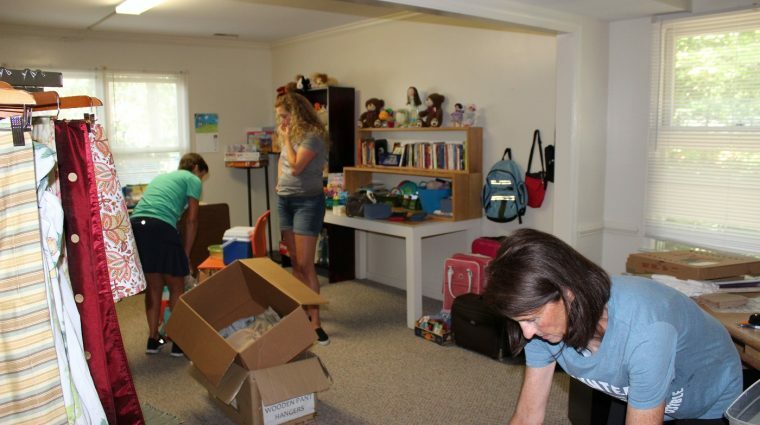 The “General Store” was just a room stashed with unsorted donations of clothes and other goods. Banana Republic/Gap associates saw a need and got to work to create a real “shopping experience” for kids who have nothing. They were able to relocate the “General Store” to an unused house on campus. With their expertise in merchandising, they staged the clothes, accessories, and other comfort items in separate rooms. They routinely swap displays according to season and make sure the choices are age-appropriate and fashionable for our kids. This helps boys and girls feel like they’re getting a ‘boutique’ shopping experience rather than having to scavenge through piles of stuff. In addition, Banana Republic/Gap associates share their retail knowledge with our kids by providing career workshops. 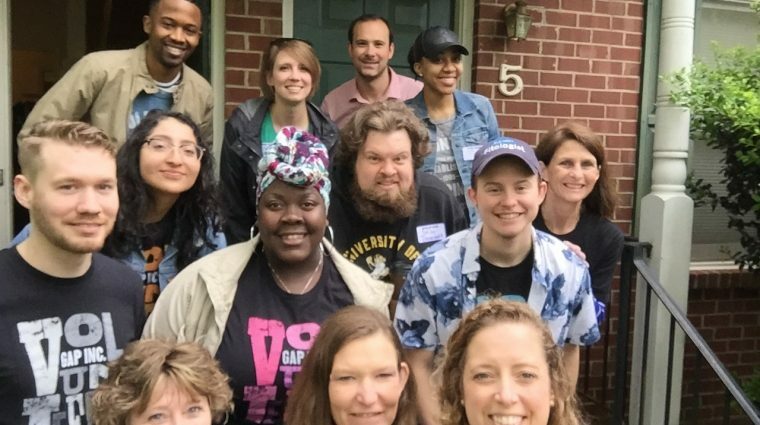 Local Banana Republic and Gap associates have volunteered over 500 hours and Gap Inc. and Gap Foundation have donated over $13,000 to match employee donations of time and money to VHBG. Gap Inc. encourages their employees to form long-term relationships with community organizations, knowing that their time an d talents can make a deeper impact when they are committed to one consistent partner.